Located 1.5 miles offshore from San Francisco and reached by a ferry ride from Pier 33, Alcatraz is also referred to as The Rock. The small island served as a lighthouse, a military fortification, a military prison and finally, what it is most famous for, a Federal Prison until 1963. 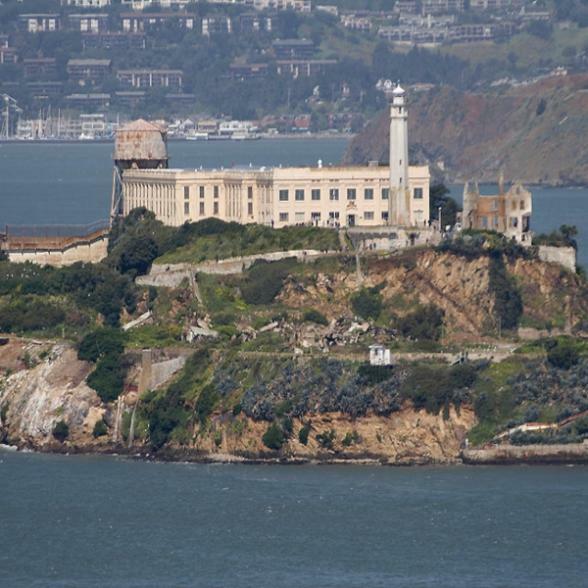 During the 29 years it was in use, the jail held such notable criminals as Al Capone, Robert Franklin Stroud (the Birdman of Alcatraz), George "Machine Gun" Kelly, James "Whitey" Bulger, Bumpy Johnson, Mickey Cohen, Arthur R. "Doc" Barker and Alvin Karpis (who served more time at Alcatraz than any other inmate). It also provided housing for the Bureau of Prison staff and their families. During the day, the old prison is a bustling place, but at night, the building is filled with the inexplicable. Many believe that the energy of those who came to serve time on the Rock still remains, that Alcatraz is an immense haunted house... a place where strange things can and do happen. 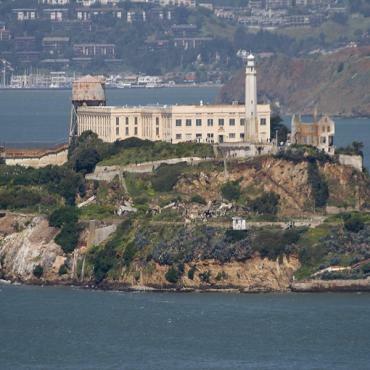 Book your trip to Alcatraz with Bon Voyage as part of your California fly-drive holiday.